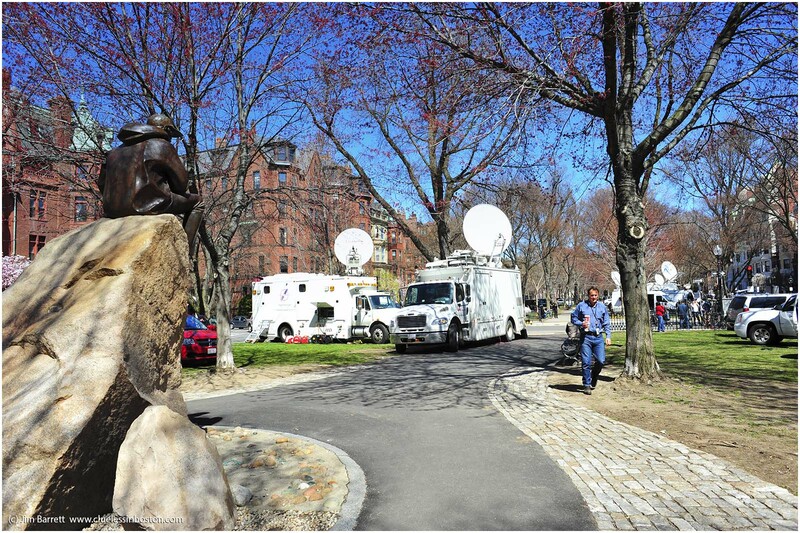 Samuel Eliot Morrison keeping an eye on all the media set up on the corner of Exeter Street and Commonwealth Avenue. 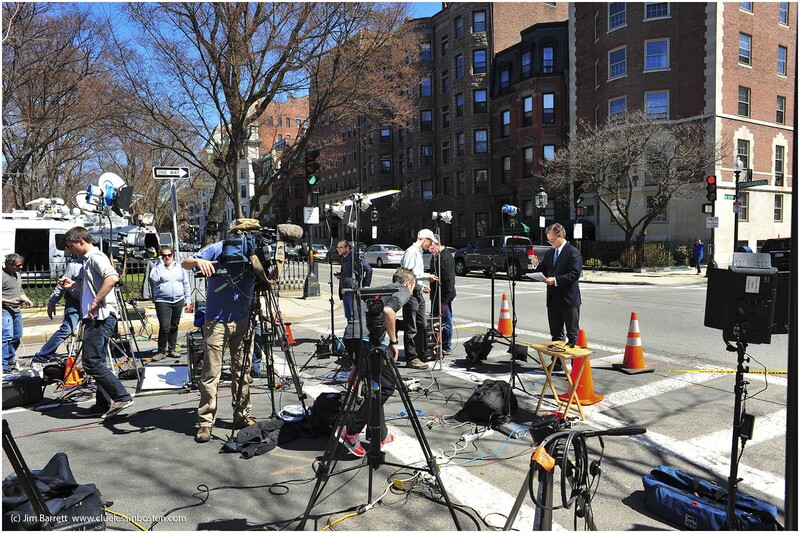 Media on the corner of Arlington and Boylston Streets at the Public Garden. This is the corner the "Mr. Frosty" ice cream truck usually parks. 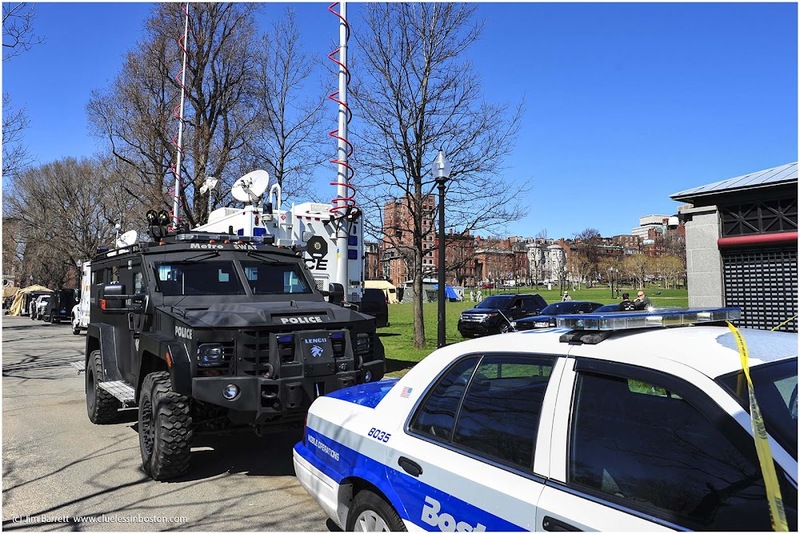 Police and National Guard vehicles and command center on the Boston Common. Heavily armed police from around the state are located at intersections and strategic locations throughout the downtown area and all transportation points. 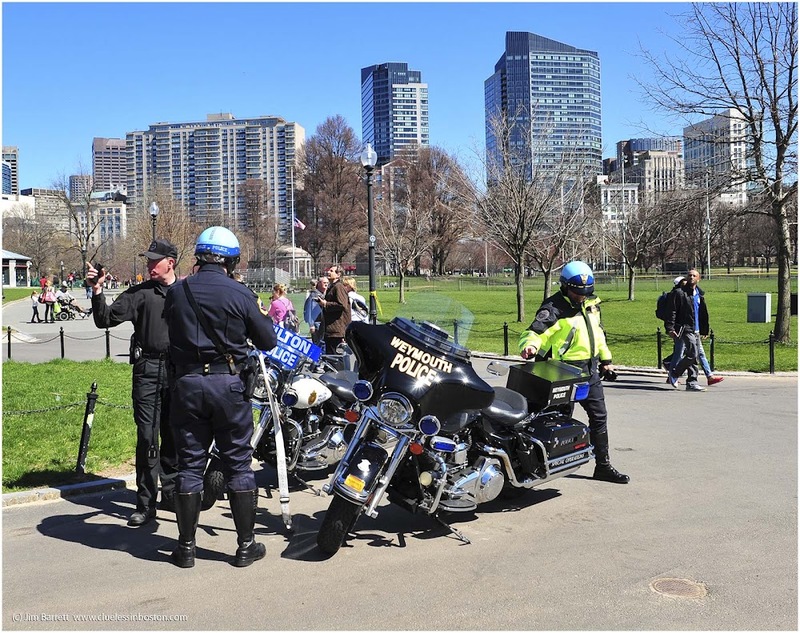 Boston, Milton, and Weymouth police officers on Boston Common. Seems like a waste of a beautiful day but done for a good reason. Here is a wish for a speedy resolution. I'm sending lights and good energies for people there! Today we find usual ,and even we want,to have police and army around when there's a public event. you've documented this beautifully. thank you. 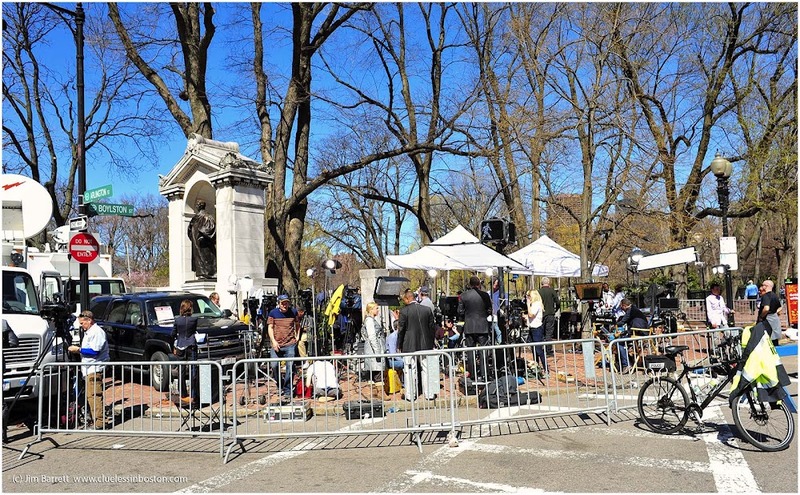 It looks like such a beautiful day in Boston, if only the whole thing could have been a horrible nightmare instead of a dreadful reality. Take care CB. Very sad that you had to take these photos. Wow- was this accessable to the public? What great close up shots. Looks like coverage from all over the place.